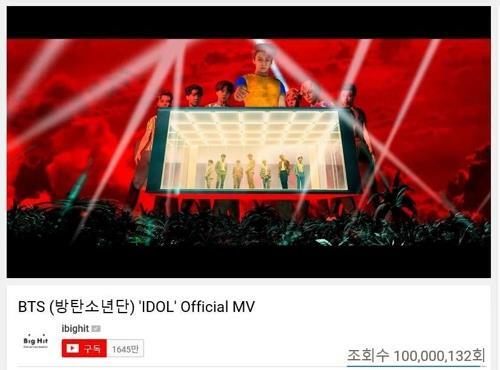 SEOUL, Aug. 30 (Yonhap) — K-pop boy band BTS set a new YouTube record by garnering more than 100 million YouTube views with the music video for their new song “Idol” in less than five days since its release, according to their management agency on Thursday. The music video of the main track off the latest BTS album, “Love Yourself: Answer,” surpassed the 100 million threshold at around 5:20 p.m. on Wednesday. 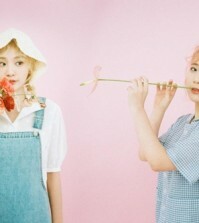 The feat was achieved in four days and 23 hours since the music video was released on Aug. 24, the shortest time for any Korean music artists on record. 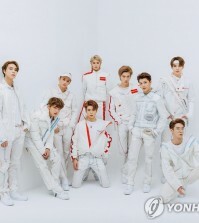 Their previous megahit song “Fake Love,” released in May, took nine days to reach the threshold. Upon its release, the new BTS song took local and overseas music charts by storm, immediately topping iTunes singles charts in 66 countries and regions.